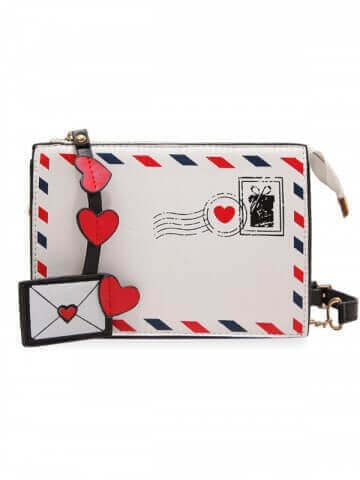 Hello bag lovers out there! 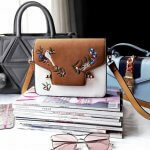 If you’re searching for the perfect bag for this spring/summer season, search no more! 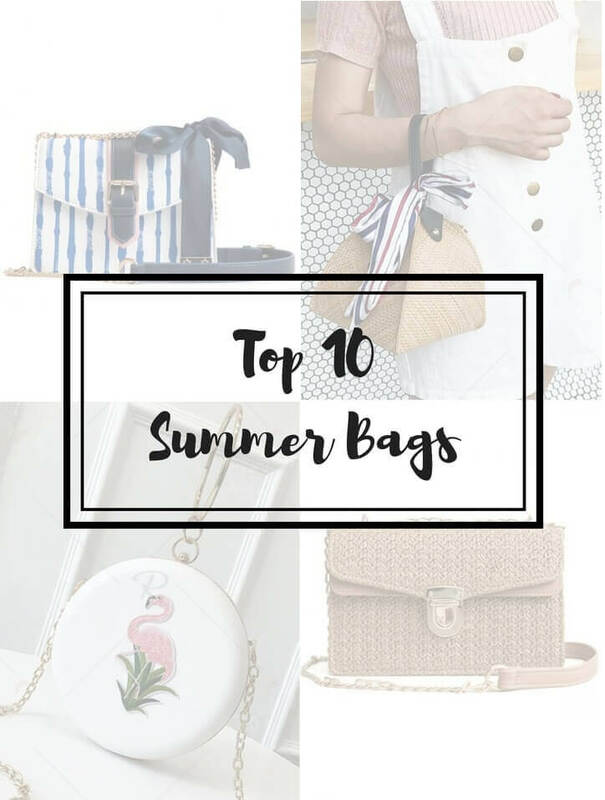 I came here to share 10 GORGEOUS Rosegal* bags that will be perfect for the warmest months, especially if you’re saving for your next beachy getaway and want to lok trendy but on a budget. I’ve collaborated in previous occasions with the brand Rosegal as you can see HERE and HERE. In the latter, I was particularly hooked with their awesome bag selection. The bag I got from that last collab was beautiful and it gets many compliments because of its classy and modern design and embroidery details. 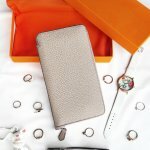 So, having tested first hand that they do actually make quality bags, I picked my 10 favorite ones for this wishlist, I hope you like them, too! 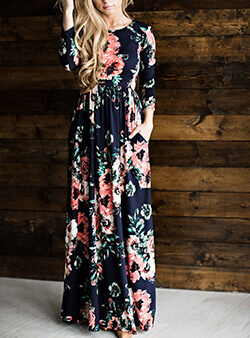 Navy done chic! 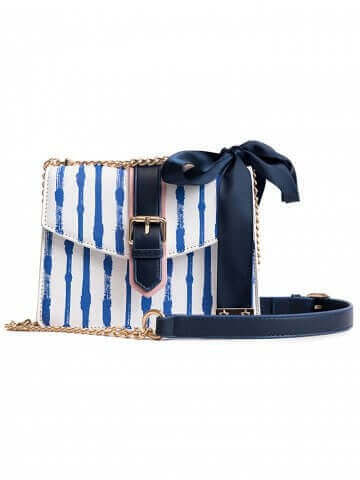 Love the girly intake of a classic navy white and blue bag. The blue ribbon makes me think it was design for Blair Waldorf to go on vacation to the French Riviera. White and pink version available too! 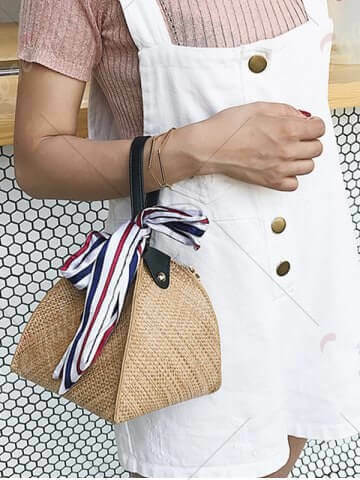 Just slip this triangle-shaped straw bag in your wrist and grab that margarita glass that’s calling your name 😉 The printed scarf detail adds more glamour. 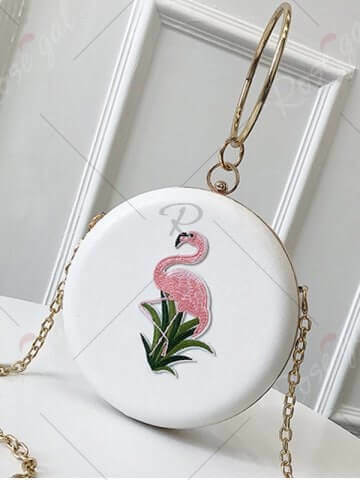 With rounded bags back in the game, this flamingo handbag has the perfect touch of summer and freshness you need. After all, aren’t flamingos one of the staples of summertime imaginary? This lovely bag screams spring. It’s cute, delicate, feminine and yes, pink. But it’s also perfect for summer because ermm, the word summer is actually written in the front of the bag 😉 Rosegal does know how to make structured sturdy bags so I’m sure this one would look so beautiful in real life! What is summer of 2018 without a rounded straw bag, right? The ‘it’ bag design of the moment HAD to be included in this list, of course. 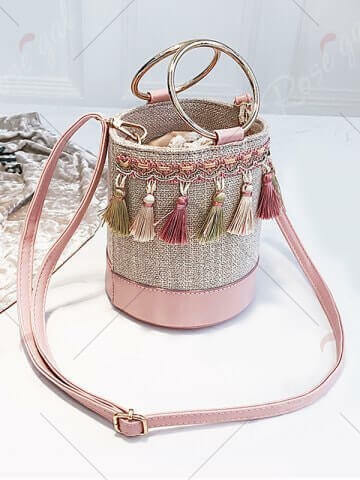 As its own name suggests, this bohemian slash girly slash shabby chic bag looks summer-picnic-ready and it’s an interesting option within the usual raffia bags. A classic among the classics, this bags ticks off all the ingredients for a perfect summer bag. Navy stripes? Checked. Star material? Checked. Spacious enough for your flip flops, sunnies and sunscreen? Checked. 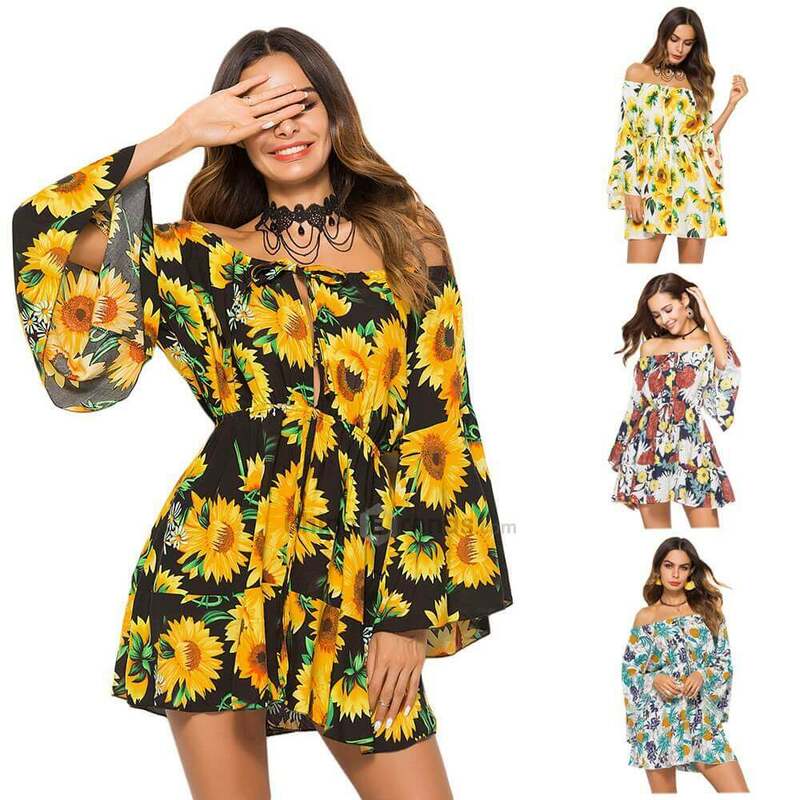 You know you can’t fail with this one. 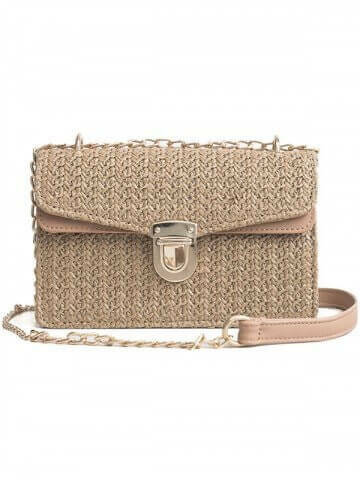 This beautiful bag has the perfect balance between cute, feminine and rustic. 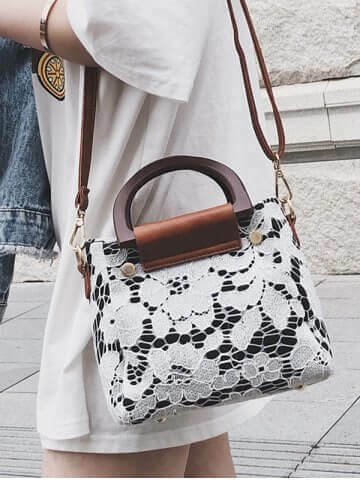 The wooden handle, harsh at first sight, is cleverly contrasted by a soft and delicate white lace fabric that covers all the bag. You can either wear it as a crossbody bag or as a handbag. 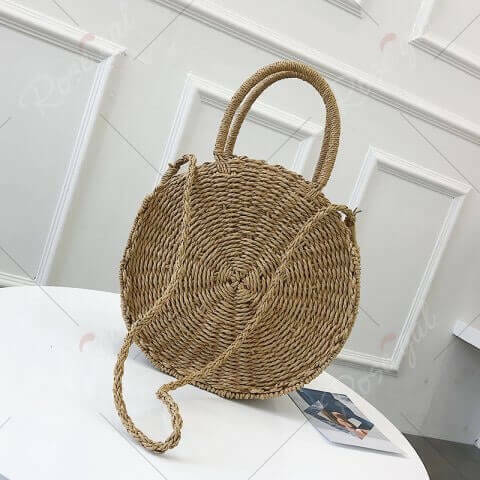 And if straw bags are too rustic for you, you can go for one that has some structure in it, such as this rectangular crossbody bag with golden details and even a little bit of chains. 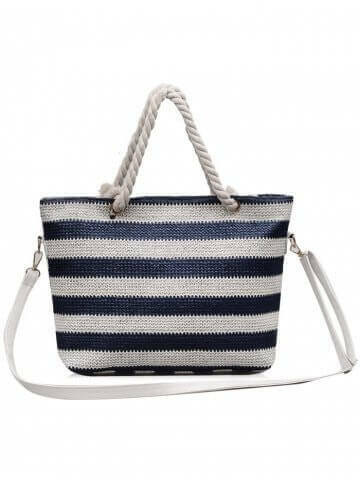 One of my favorites for sure, this bag is summer chic in a nutshell.